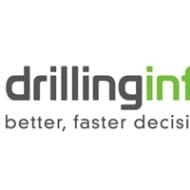 Since 1999, Drillinginfo has been a leading provider of oil and gas data and technology. Can OPEC Keep Its Nerve? The recent OPEC agreement to extend production cuts for a further nine months has had a mixed response from industry commentators. For some, it’s an example of OPEC’s new steadfastness and unity of purpose, whereas for others it’s a deal likely to have little impact on bloated oil inventories and the current oil price. For such critics, other, more influential factors are in play undermining OPEC’s influence – American shale production, for example. Yet, like many things in life, it’s never as clear-cut. In this blog, I will look at the upside and downside risks of the new extension and whether it is likely to have the desired effect on both inventories and prices. Firstly, there are a number of factors in OPEC’s favor – in particular the remarkable discipline of OPEC members over the last few months. While many OPEC deals in the past have failed virtually from the outset with an average compliance rate of only 55 percent, according to Drillinginfo’s Fundamental Edge Market Outlook Report, the original 2016 deal has actually worked! A Reuters survey cited a 95 percent compliance rate in March 2017 and our own Market Outlook Report finds many countries actually cutting beyond the agreed upon quotas. In April 2017, for example, overall production was 131 MBbl/d below the agreed quota. One of the key reasons for this production discipline is Saudi Arabia who produced 104 MBbl/d below its April 2017 production quota according to our report – almost 80 percent of the 131 MBbl/d already cited. Saudi Arabia’s leadership here can’t be underestimated – spurred on by Aramco’s imminent public listing and the need for a stable pricing environment. The UAE, Kuwait, Iran and Venezuela have also gone above and beyond their quota obligations. Too often in the past, OPEC has been under attack from the critics – considered an outdated and increasingly irrelevant organization. However, the fact remains that it still controls 70 percent of the world’s proved crude oil reserves and it is sometimes necessary to give credit where credit’s due for this new era of collaboration and discipline. What is also encouraging is that OPEC appears to be looking longer-term. Saudi Oil Minister Khalid Al-Falih has already indicated that OPEC will do what is necessary to stabilize the market – even if it means extending production cuts further into 2018. Another possible variable in OPEC’s favor is the possibility that global energy demand might increase by more than the current expected 1.33 MMBbl/d (The IEA forecast). The June 2017 World Bank Global Economic Prospects report forecasts that global economic growth will strengthen to 2.7 percent in 2017 with an increase in manufacturing and trade. Global oil demand also typically accelerates in the second half of the year, leading to a decline in global oil inventories. Such factors could work in OPEC’s favor. For all the potential positives, however, there are a variety of risks and potential obstacles to OPEC’s success. The markets have reacted skeptically to the extension and the limited impact of the 2016 deal on prices and inventories has led many to question OPEC’s influence. Firstly, many of the non-OPEC members have collectively continued to fall short of their agreed quotas. Our Market Outlook Report, for example, shows that by the end of April 2017, non-OPEC countries were producing more than 180 MBbl/d over their agreed quotas, with Russia and Kazakhstan particular culprits. There are also other countries who have the potential to replace any supply cuts made by OPEC, including Nigeria and Libya (OPEC members exempt from the deal who are showing signs of increasing production), and of course the elephant in the room – U.S. onshore domestic production. U.S. production output has been restored very quickly and has climbed 10 percent since mid-2016. It’s clear that OPEC members’ patience is not limitless and they are unlikely to bear the ‘burden of free riders’ (Al-Falih’s words at CERA Week in Houston this March). There are also economic and political influences. China’s growth remains relatively slow with Moody’s recently instigating the first credit downgrade for China in almost three decades, and the current diplomatic crisis between Qatar and three Arab states has led people to question OPEC’s future unity. 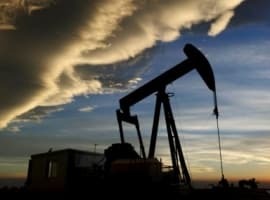 However, as is so often the case in the subtleties and complexities of the international oil market and economic environment, if China surprises the world with strong economic performance (first quarter growth at 6.9 percent beat expectations), it could help tighten the oil market and reduce inventories. Similarly, with the Qatar crisis, OPEC members have had many political disputes and even wars during its 57-year history, while still managing to collaborate when self-interest is involved. Despite all the easy predictions, we cannot estimate with certainty where we will be in 12 months time. From Chinese growth, U.S. production, and non-OPEC member compliance, there remain a host of unknown variables. Related: Is $50 Oil Still Realistic? 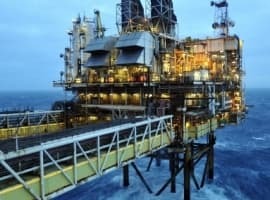 What is clear, however, is that the industry remains on the right track with the May 2017 OPEC extension being an important first step in shoring up world crude markets and indicating that there is the necessary political will to try and tackle the global glut. The fact remains that if supply is kept constant and based on predicted global energy demand growth of 1.33 MMBbl/d, inventory levels are likely to recover to the middle of the five-year range from prior to the price crash by the end of 2017, according to our Market Outlook Report. Sure, there may not be an immediate lowering of inventories and the oil price is unlikely to go much beyond $60 over the next 12 months. Yet the rebalancing of the market is continuing with OPEC showing the leadership so important in these challenging times. If it can continue to keep its’ nerve, better times are around the corner. How Big Is California’s Oil And Gas Industry? 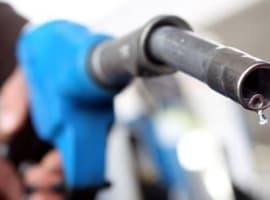 Saudis Cut Back Oil Supply To Asia, Slash Exports To U.S.
Are there any reports showing just how much money OPEC is currently loosing to save money (oil prices) later? In the end it seems like OPEC will loose. Do you have any incite into how much money shale companies are losing? I guess the market can continually fund projects that just don't work. I'd think investors would get tired of that eventually. The management teams still get paid, lawyers get paid, royalty owners get paid, but the shareholders and bondholders.... probably not. The world is awash with oil, but very little of it is economic.